Fill out the instant free quote form to the right of this page, and we will get back to you asap. If you wish to speak to one of our helpful tow truck staff members, call us on 08 9468 7220. What makes us the No.1 Towing Service in Mandurah? Mandurah Trusty Towing are towing experts who go above and beyond your standard Joe Blow service of a single rust bucket truck, no answering of phone, and no customer care. We have a fantastic fleet of tow trucks all equipped with the right gear to give you the tow you need regardless of your vehicle or location, and our phones are sure to be answered every time. Have you got a regular tow truck guy? Most likely not. Times for when you need a tow doesn’t happen that often, but when they do you are going to need someone to call. That someone is going to have the ability to pull you out any sticky situation, and best bet is to make that someone Mandurah Trusty Towing, for we can do just that. Through our years of enriched and profound experience, reaching golden heights in delivering the most outstanding Towing service in Mandurah. Capable of providing emergency towing and recovery services through the entire state, with an eager desire to be the best, we place all towing companies underneath us. Established over 20 years ago, our proud tow truck company is tagged as the oldest and the most efficient towing that Mandurah has to offer. 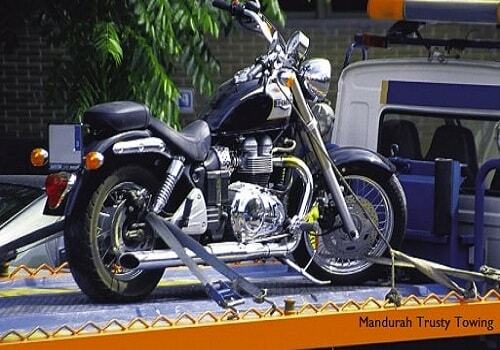 Mandurah Towing Service provides car, bus, truck and other towing services across the entirety of Mandurah and beyond. If required we can provide our services to other parts of Western Australia as well. Why are we Mandurah’s best? Our complete angle approach in delivering our services has made us thoroughly driven and has led us to utmost motivation and commitment in what we do. Our performance has always made us nuclear in our performance and due to which we are recognized and respected in Mandurah and surrounding regions. Our services are highly serviced as we make the changes according to the needs of the clients and our valued customers. We are widely famous for our services, which are achieved by delivering the best performance at the time of emergency. Experience Is indeed vital in this type of industry, otherwise you may be stuck where you are for longer than you had hoped for. We aim to get you back up and running in as little time as possible, your time and your service to us is important and we want to show you that. All of our tow truck tenants in Mandurah our professional, reliable and more than anything dedicated. We have a great sense of teamwork and community which has our customers so thrilled to continually recommend us. When you are down and out and car troubles got you down, look no further than Mandurah Trusty Towing. An emergency tow meaning you want us there pronto?. Long distance tow up to Perth or further? Specialised vehicle tow to take your baby out for some air? Or an abandoned pickup that’s in the way? Let’s get you sorted shall we. We are Mandurah’s number one tow specialists with all the right equipment and gear to have you off the road, or that car out of the way pronto. 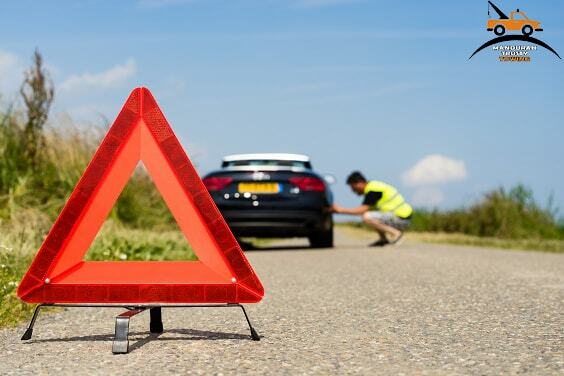 Whether the battery is dead, the tyre is flat or the tank is empty we can help. It’s times like these you don’t want, but times like these you will need us, and we are more than happy to help. With experience in multiple fields of roadside assistance, whether a quick fix or a tow, we know how to manage each and every situation. So hang tight and we will be there soon. What’s even better? We have multiple tow trucks, woo! So what does that mean? Even if we are currently out doing a job, you can still be attended to and not stranded all alone on the side of the road. We have the quality of trucks that work like a dream every time possessing equipment that says yes to hydraulic lifts, flatbeds and diagnostics. This Saturday, my car broke down on the way to picking up my kids. I was already late and I knew I didn't want to leave my kids hanging. I called you guys and I was towed within fifteen minutes. And Dave was nice enough to let me pick up my kids before dropping my car off. Friendly and efficient, which is a great combo. I don't want to have to get towed a lot, but if I need it, I know who I'm going to call. Clayton was friendly, fast, and took great care of my car while towing it. Best tow truck Perth has to offer, if you ask me. I've had a lot of bad experiences with tow bars Perth. However, these guys are the exception. Quick, careful, and professional. I couldn't ask for more. If I ever need towing or roadside assistance, I know who I'm calling from here on out. Thanks for the great service, guys! That event would have been a nightmare if I didn't call you! To everyone else: these guys do great work. Call them for towing. Great service, with professional drivers and modern trucks. I don't like being towed, but they at least help make it something other than an unpleasant experience. What makes us unique from other towing services companies? Make sure that the next time you are in trouble you know who you are going to call: Mandurah Trusty Towing. As Mandurah’s leading tow experts we guarantee after using our services you’ll have yourself, friends and family calling us next time life throws you a curve ball. Have our number ready on hand for the next time you find yourself needing a tow. With prompt response time, efficient service and low rates we challenge you to find better. But good luck with that. With a team of friendly, caring and experienced staff, your stress levels will be kept at bay, and you will be delighted with the pampering of service you receive. Experience is vital in this industry. There is something about professional people that have the experience that evokes a great sense of trust, hence why we are called Mandurah Trusty Towing. By having a set team of dedicated drivers in a well-established company, the great sense of community and teamwork that has developed in our business strongly reflects the positive professional nature of our work. All of our services are charged at a fair an affordable rate, that will not be beaten anywhere else in town or in the surrounds for that matter. Your satisfaction is our priority. To make sure we have this, we will not ruin all of our great service by giving you a hefty bill that will turn your smile into a frown. Well our services run 24 hours a day and 7 days a week. In all 52 weeks of the year at any time that you need us. 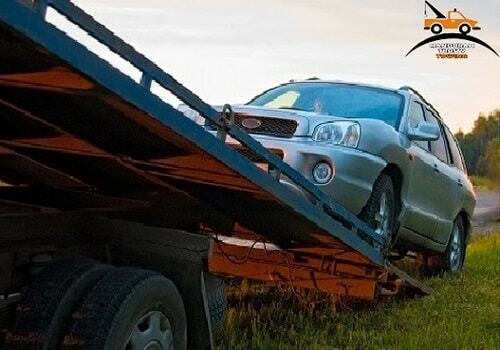 We ensure timely towing services each and every time. Apart from tow truck we also assist our customers with roadside recovery, machinery and vehicle relocation’s, oversize load transport, boat towing and multi-vehicle movements throughout whole of Mandurah and parts of WA. Apart from the services mentioned above we also specialize in providing. We have exceptionally delivered several of clients and customers across Australia with their tow truck needs. We have proudly satisfied them to a level of joy. Meeting the client and the customers’ needs has always been our priority as a towing service organization should be. So when you have a tow to be had, know that Mandurah Trusty Towing are the people to contact. We guarantee that the procedure is simple, easy and stress-free.